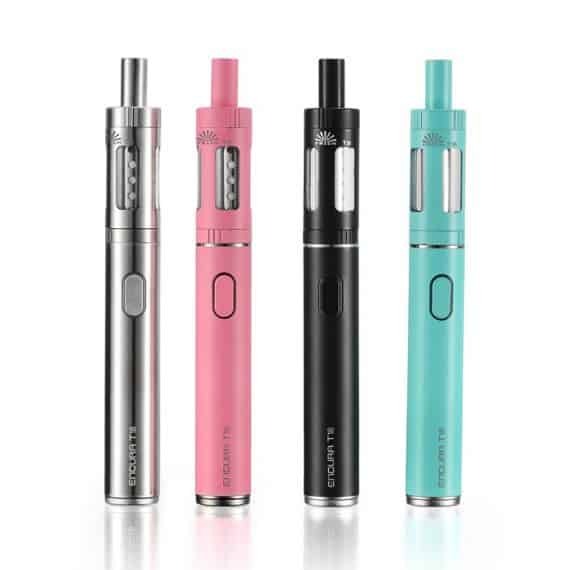 The new Innokin ENDURA Starter Kit is an elegant choice for those wanting a compact and user-friendly, mouth-to-lung vape. 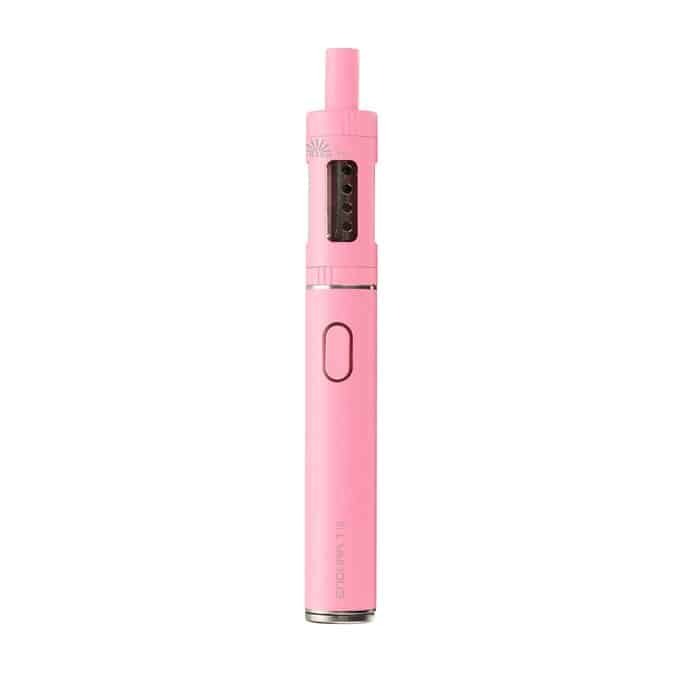 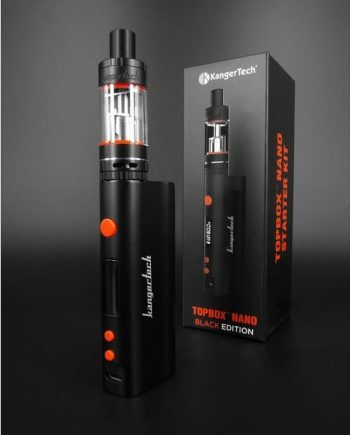 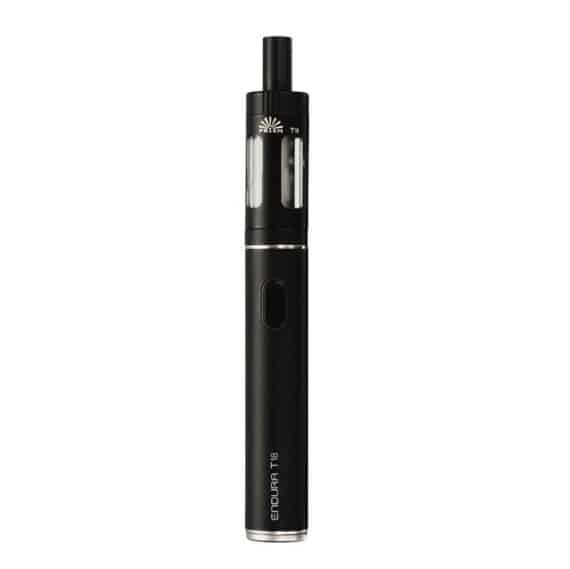 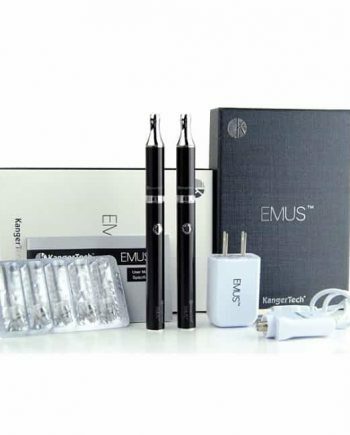 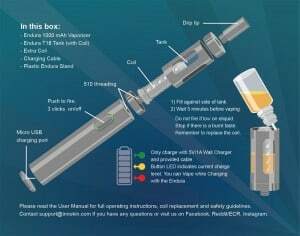 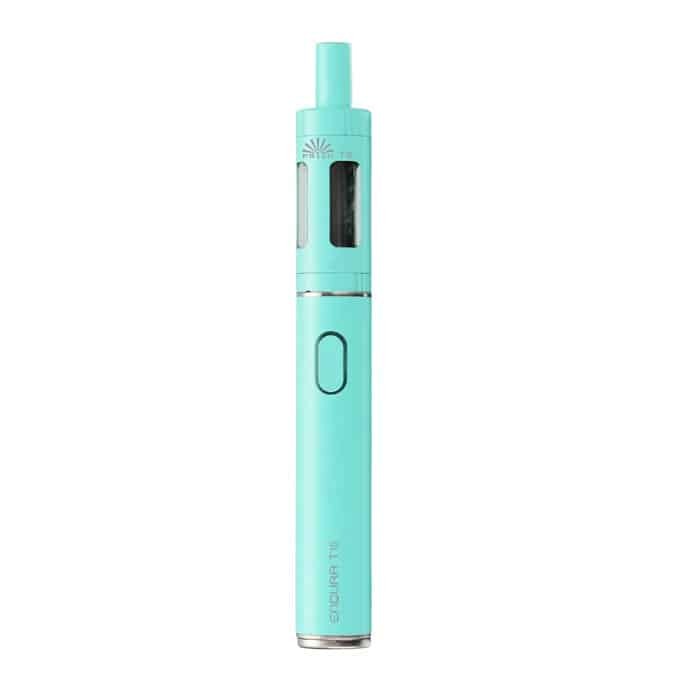 Designed with the beginner in mind, this all-in-one kit combines an easy Top-Fill 2.5 ml tank with a fast charging 1000 mAh Battery that provides numerous built-in safety features, including overheating and over-discharge protection. 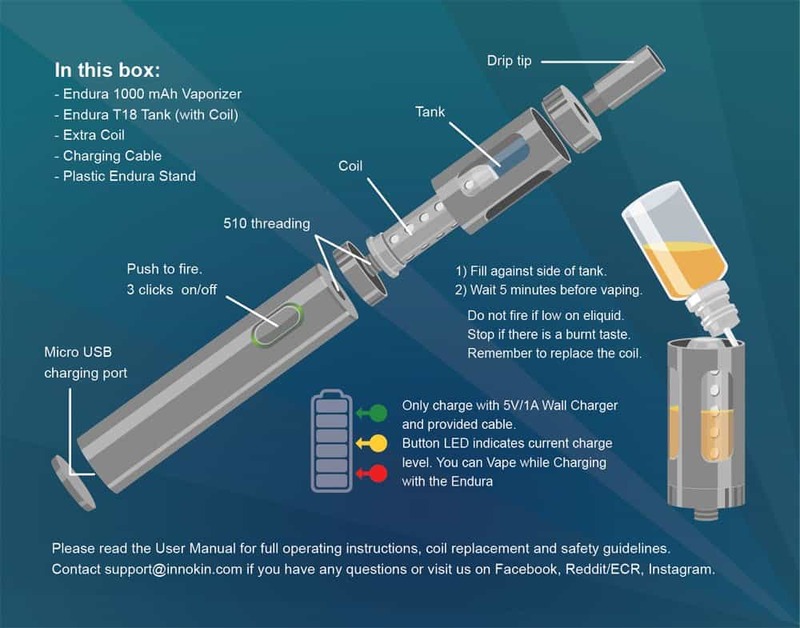 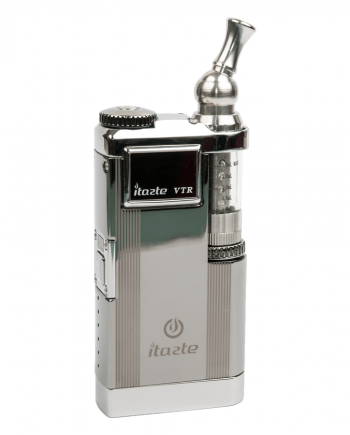 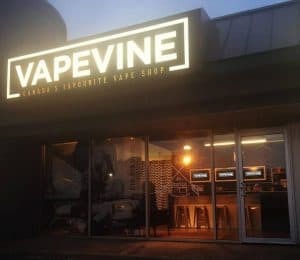 Simple 1 button operation lets you control your entire vaping experience with just one click. 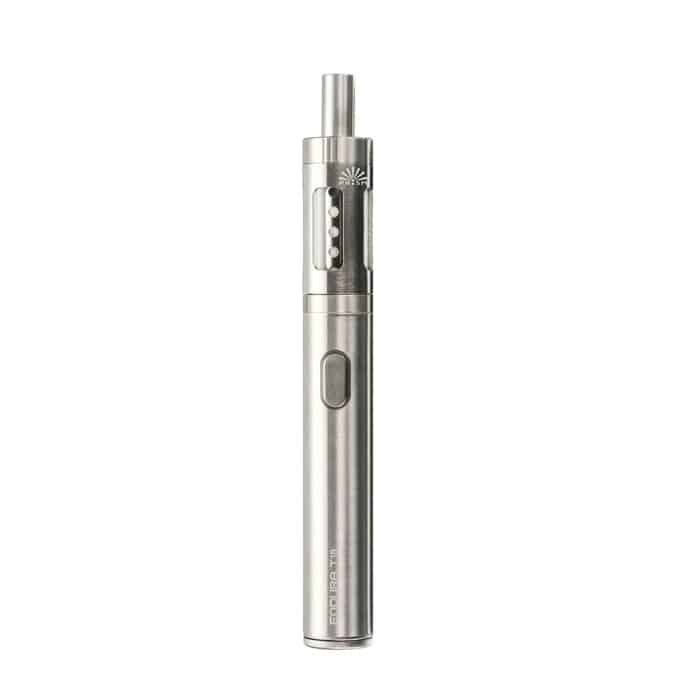 Already optimized for the perfect vape at 14 Watts with impressive 1.5Ω replaceable coils, the Innokin Endura’s atomizer uses 100% Japanese organic cotton wicking material that delivers incredible, consistent flavor. 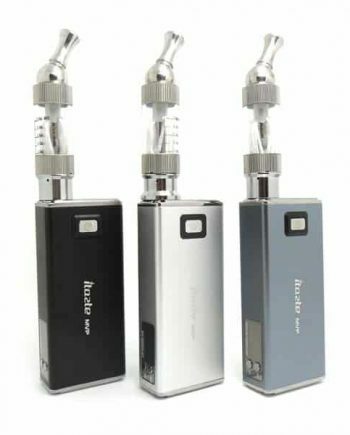 Innokin’s famous passthrough micro USB charging lets you “Vape While Charging” so that you are never without power.